Dr. Sirotnik practices Dentistry with a passion for excellence. By combining advanced dental technology with a gentle friendly style, Dr. Sirotnik and his team will make you more comfortable than you ever imagined. 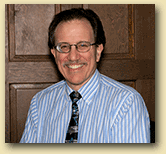 Dr. Sirotnik is a doctoral graduate of The University of the Pacific and an Alumnus of UOP. Since receiving his dental degree in 1974, he has dedicated his professional career to providing his patients with the best that dentistry has to offer. Dr. Sirotnik achieves this by participating in advanced training and continuing education courses. Using advances in dental technology, including digital x-rays, dental implants, porcelain veneers and crowns, metal-free fillings, and teeth whitening, he will help you achieve a beautiful healthy smile. Best of all Dr. Sirotnik gives each patient personalized care and will help you make informed choices about your dental health.